The goodfirm ICBC car accident lawyers want to share these 5 key steps to take if you are injured in a car accident. 1. Try and get as much information about the other driver as possible. In any accident, you should try to get the names of anybody who saw the accident. Even for a minor accident, if ICBC claims you may be at fault or partially at fault for the accident, the statement of a witness can help bolster your case. It is best to get any witnesses names, contact information and email to keep in touch and get their side of the story. When you are injured in a car accident, you have a legal duty to notify ICBC. The regulations require that you give ICBC prompt notice of the accident. It is prudent to report the claim within hours or days of the accident. 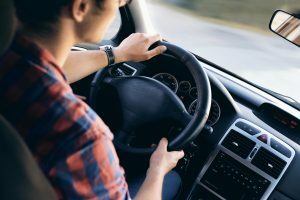 Although you have 2 years from the time of the accident to start a claim against the at fault driver, in order to claim part 7 accident benefits, you must give ICBC a written report on the accident within 30 days of the date of the accident. You must also complete an ICBC proof of claim form within 90 days of the accident. If you are in a hit and run accident, you must give ICBC notice of the accident within 6 months or your claim may be denied. Failing to give proper notice may mean your claim and benefits will be denied. Remember, anything you say in a written report or statement will be used by ICBC as part of your claim. Often many injuries don’t develop until a few days after the accident. Speak to an experienced personal injury lawyer before making any statement to ICBC. After a minor accident you may feel fine. However, many whiplash, musculoskeletal injuries, brain injuries and chronic pain don’t develop right away. It is important to see your doctor after an accident to get checked out and to keep them informed of your condition. A person injured in a car accident has legal obligation to mitigate their damages. This means that you have an obligation to try and get better. It is important to follow your doctor’s recommendations for attending physiotherapy or any other treatment. If you fail to do so, the court may reduce the amount of you receive in damages. 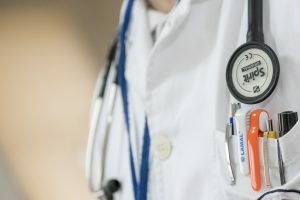 See our recent blog post about a woman who had her court awarded damages reduced by $314,311.50 for failing to follow her doctor’s advice and treatment plan.